Toyoda Machinery USA announces the addition of Erickson Machine Tools, Inc. to its Midwest distribution network. Erickson Machine Tools will serve as Toyoda’s exclusive distributor in Iowa and Nebraska, offering Toyoda’s full lineup of horizontal and vertical machining centers, bridge-type mills, vertical turning centers, grinding machines, and automation solutions. Located just north of Des Moines in Story City, Iowa, Erickson has been providing metalworking solutions to the region for over 50 years. 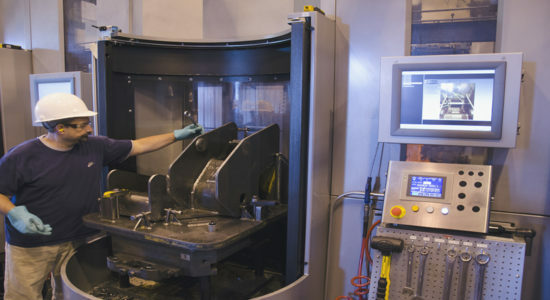 Family owned and customer focused, Erickson provides a complete manufacturing solution in its sales, service, and engineering support.